"Creating Dynamic, Collaborative Learning Environments in Education"
As we prepare to begin our learning together, check out the video and introductory information below. How are we growing classroom communities where we work collaboratively to learn and that are responsive to student needs? Join us in this Learning Cafe, as educators from Intermediate and Senior Divisions not only share and discuss their innovations to creating and sustaining responsive learning environments with their students, but invite our entire study group to collaboratively explore inquiries into teaching and learning in their own practices and school teams. As we begin our learning experience together, presenters will share and cultivate some concepts of classroom design and how its flexible use by students is impacting teaching and learning. Interdependent with this aspect of teaching and learning, we will also study instructional strategies (inquiry-, project-, problem-based, and flipped learning), assessment for/as learning opportunities, pedagogically-driven uses of technology, and the role of the student voice. By the end of our time together, participants will have created a learning network that not only supports their own practice but also contributes to the development of their own leadership skills--e.g., addressing school improvement with their own school's learning teams. On behalf of our team of facilitators--Lorelee Hamilton, Kim Machan, Ian Morris, Andrew Pratt, and myself--we look forward to learning with you. 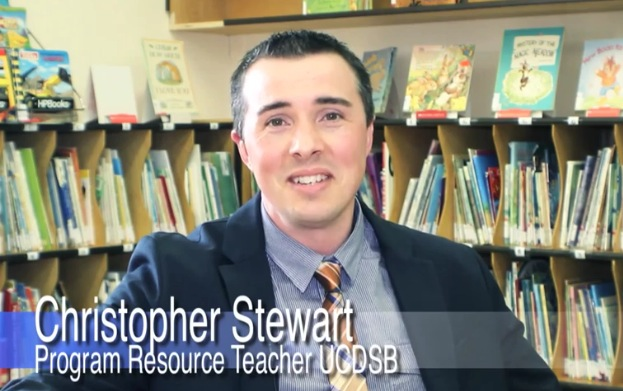 If you have any questions about the session, at this time, please direct them to christopher.stewart@ucdsb.on.ca. Please feel free to bring along those technologies that you use on day-to-day basis in supporting teaching and learning.